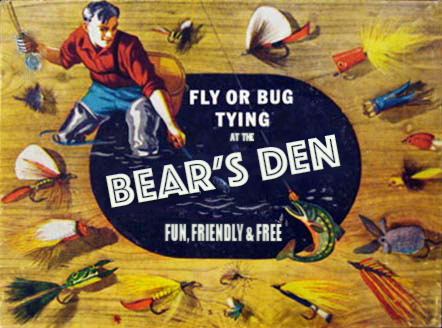 Join us here at the Bear's Den for a casual night of Fly Tying! Please bring your own materials. If you do not have a vise we can supply one for you.